This week's Exhibitionist in Residence, Tierney Milne, shares the top 5 things she can't do without. On Instagram, Tierney Milne has made a habit of posting witty, animated observations on daily life, minimalist sight gags and illustrations as sweet as her candy-coloured palette. And the Vancouver illustrator is also making her mark IRL, too. 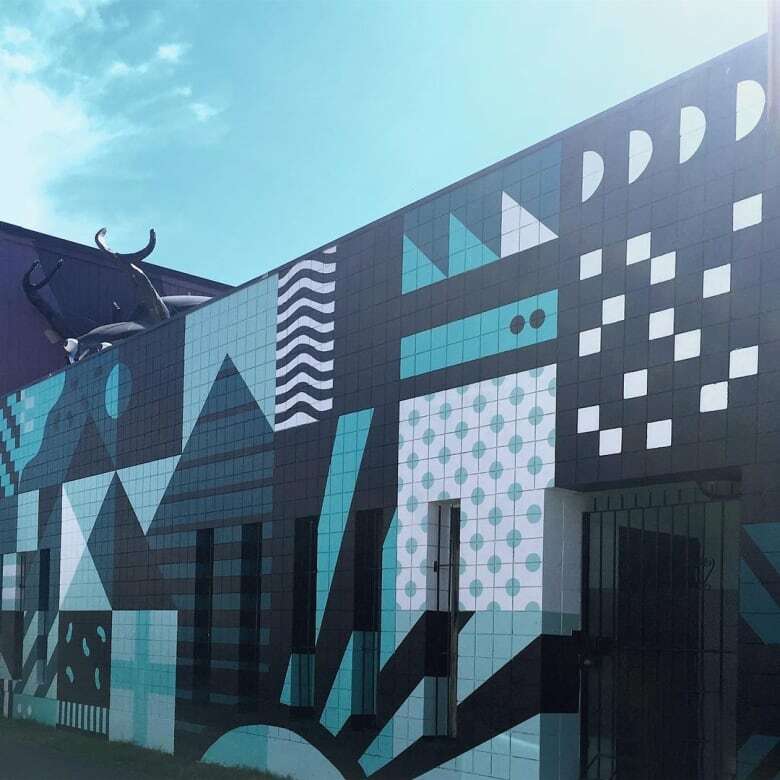 That's her work on the side of Vancouver's Makerlabs building — an abstracted, chessboard-grid landscape inspired by her hometown's coastal beauty. 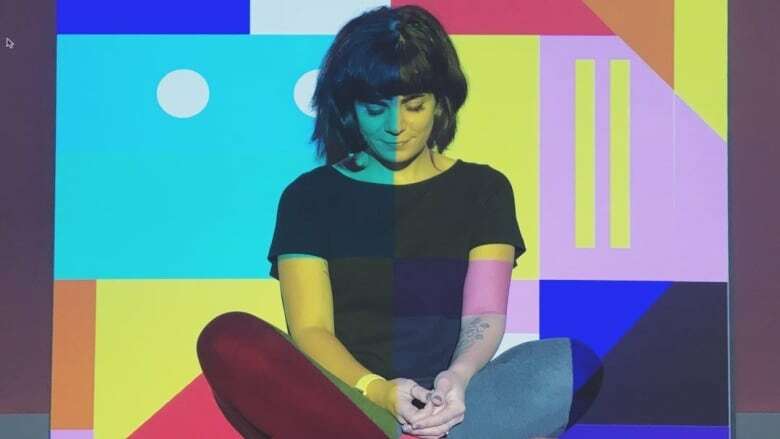 The piece, a collaboration with Colin Moore, was created for the city's inaugural Mural Festival this summer, and when she spoke to CBC Arts this week, she was in the studio, up to her eyeballs in a new project. Higher, really, if we're speaking literally — she's been commissioned to paint a series of six-foot high panels for a new real-estate development downtown. But with all that she's working on, Milne never imagined a career in the arts. "I had no idea I would end up doing the more artistic side of things," she says. "That just somehow happened." To be fair, some hard work and education was involved, as well — but Milne, 27, was originally on a whole different track. At the University of British Columbia, she studied science, ultimately earning a B.A. in Psychology. Back then, design was just a hobby. "I was doing band posters for fun," she explains. But she went back to school to turn that side project into a full-time gig, and, as she puts it, "it's just been going ever since." "Curiosity about how the world works, about language, about communication...these are the things that keep me going in life and in my art. My background is in psychology, and it took a degree's worth of time to realize my favourite part was simply looking at how we as humans interact, communicate and interpret one another and the world." According to Milne, "curiosity" is just one of the things she can't do without. As a freelance graphic designer, Milne makes a point of giving herself some "me time" to explore her own personal projects. Just take a look at her Instagram: it's full of her experiments. She loves playing with new materials — paper, candy, frozen shrimp – and her projects always start with whatever fun stuff she's discovered at the craft store or grocery store – "or just wandering around Vancouver." "Personal projects are a huge, if not the biggest, driving force in my creative work and stem from a love of experimenting," she says. "I really crave variety and the sensation of working with something that I've never worked with or picking up a material that most people wouldn't immediately consider a material for making art." Milne's ideal sketchbook is too big to fit in her purse, but just big enough to fit all of her ideas. "I never thought it was that strange to have a large sketchbook, but most people I meet, they always comment on it," she says. "I carry it around by hand." Every three months, she fills a new one. "I think for me, being able to document things is so important. I have a terrible memory and I'm constantly inspired, and those things are constantly at odds with each other, it seems. I feel like if I can't write it down immediately it's so fleeting — like I'll never think of that again, you know." 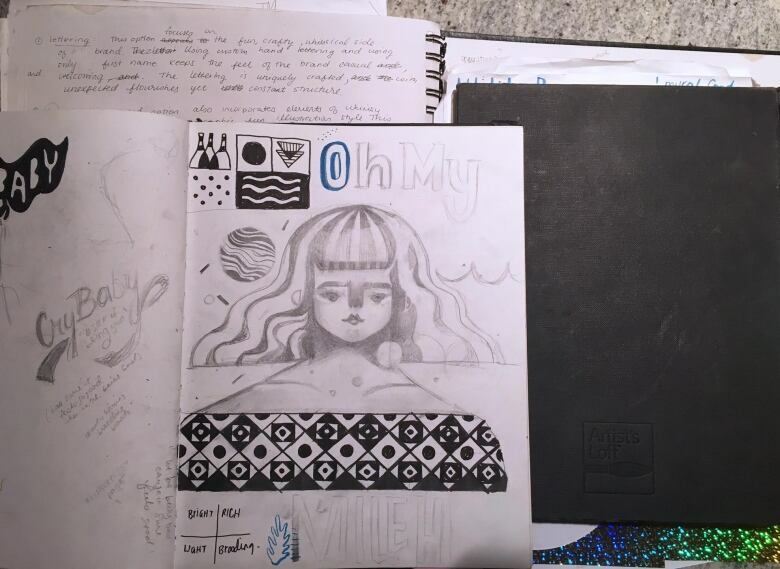 "Big sketchbooks always make me feel like I have room to play, and I end up pasting inspiration in as well, similar to my scrapbooking days." "I literally can't function without lists and schedules! I've always struggled with anxiety and, through the years, have employed different strategies for keeping it under control. For me, the best way to manage these feelings and also the craziness of deadlines and personal goals has been through categorizing and lists." Milne's furry roommates are a pair of "immensely overweight" cats, a "mom and daughter duo named Luna and Twix." "They inspire my work because I get really frenetic — I get a lot of issues with anxiety. 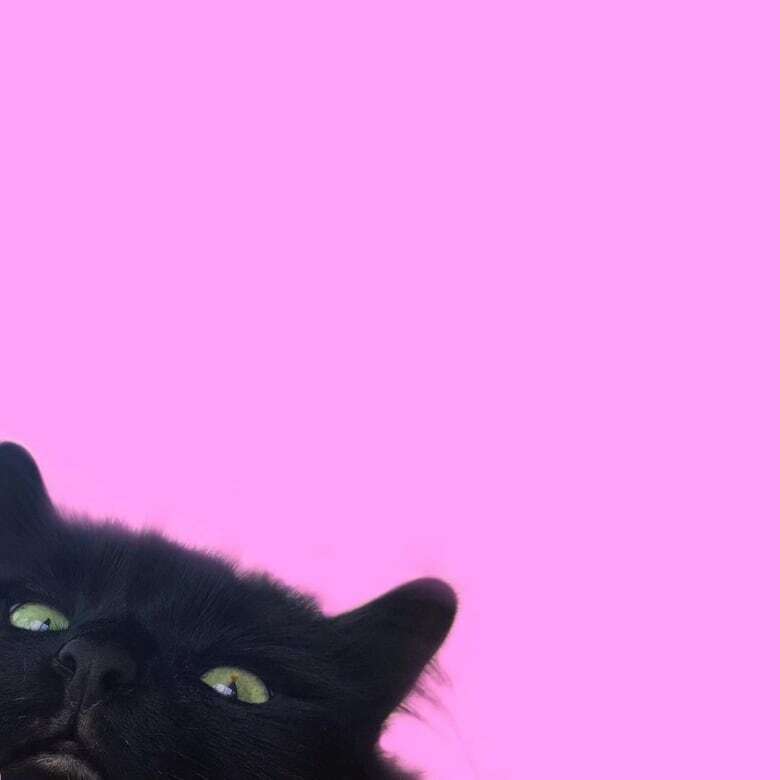 Some cats make you more anxious — they're really wired or they're running around all over the place." "My cats, they're very quiet — they're kind of solemn. And for some reason, it's just been really impactful for me — having them there as these constant, calm figures amidst all the craziness of whatever might be going on at work or in my personal life or whatever. They have a really calming effect on me." See more from Tierney Milne on her Instagram and on the new episode of Exhibitionists. Watch online or Sunday at 4:30 (5 p.m. NT) on CBC Television.